User height range: 4'10" to 6'8"
Walk with confidence with the contemporary-looking EZ Fold-N-Go Walker by Stander. The EZ Fold-N-Go Walker is the most compact, portable, easiest open-and-close walker ever invented. 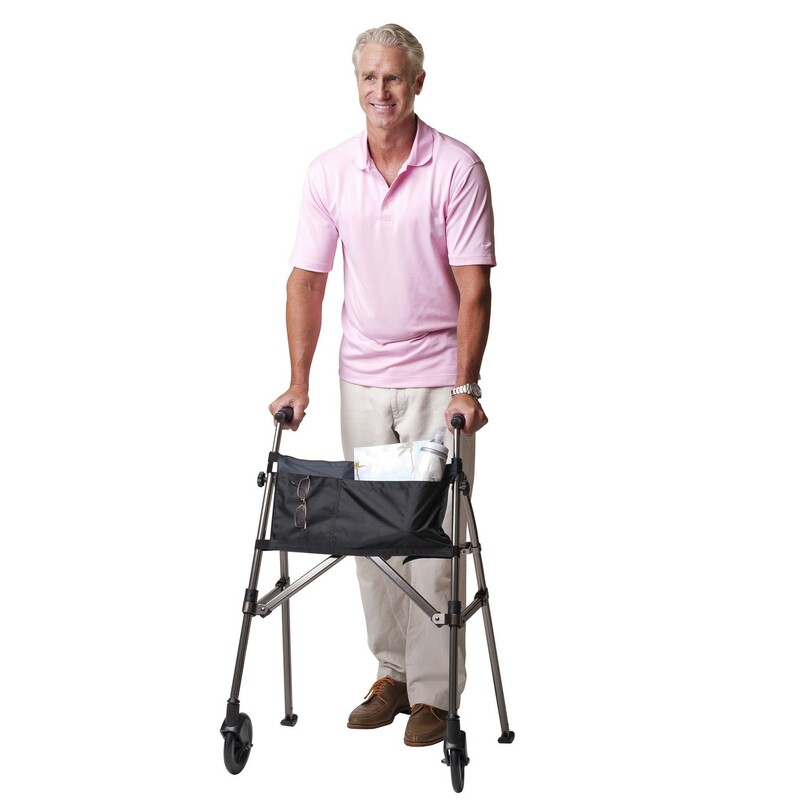 When folded, the Fold-N-Go Walker is about four times smaller than the average walker. It fits in small spaces, like an airplane overhead bin or a tiny car trunk. 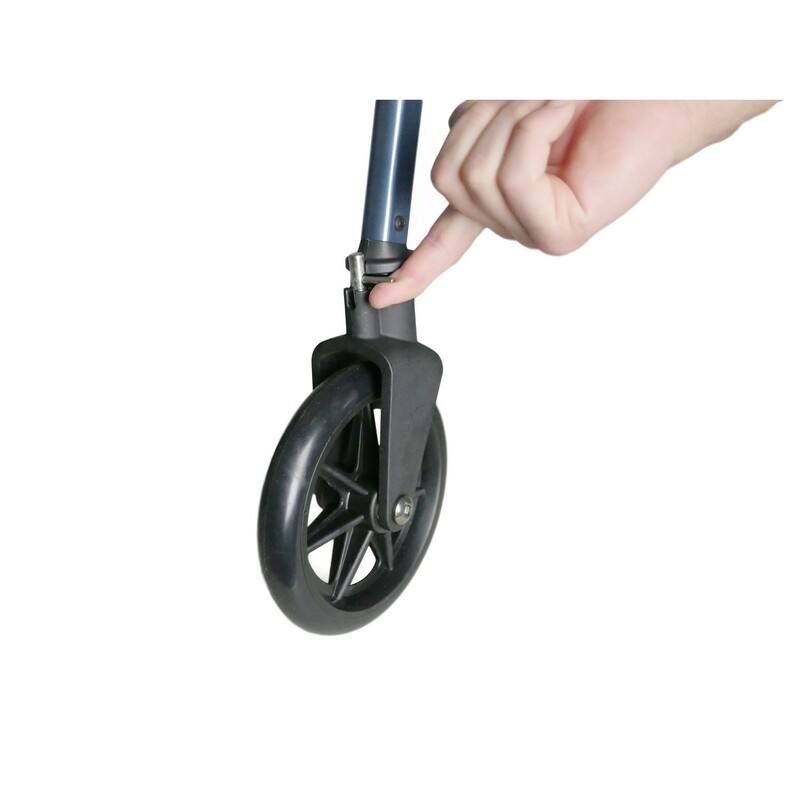 The unique design allows it to open and fold up effortlessly-to fold, just raise the easy-release lever with one hand and the walker collapses. To open, slide the handles apart. 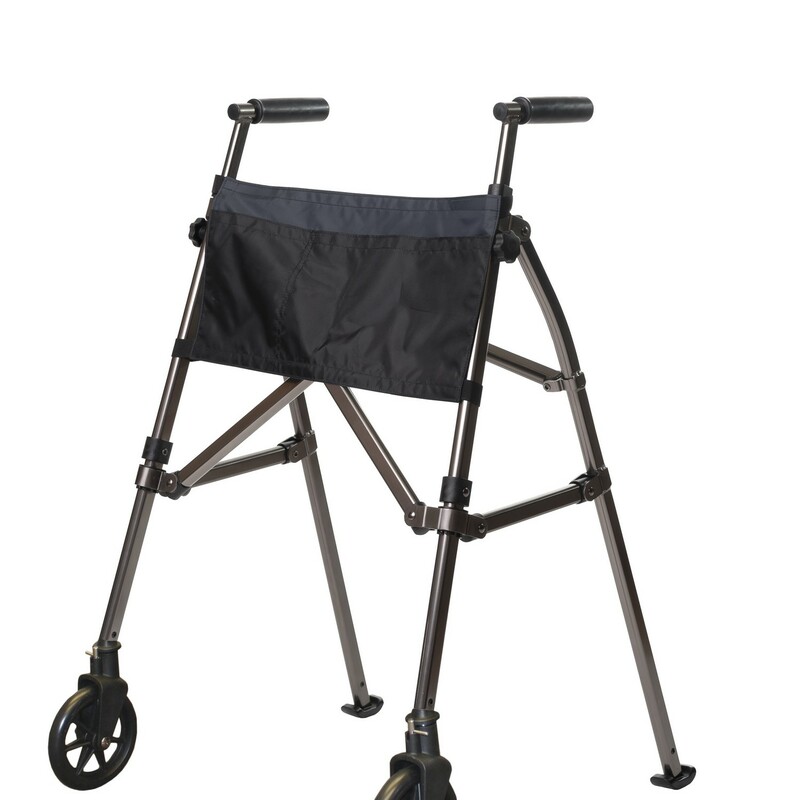 The EZ Fold-N-Go Walker is lightweight but sturdy and strong, supporting up to 400 lbs. 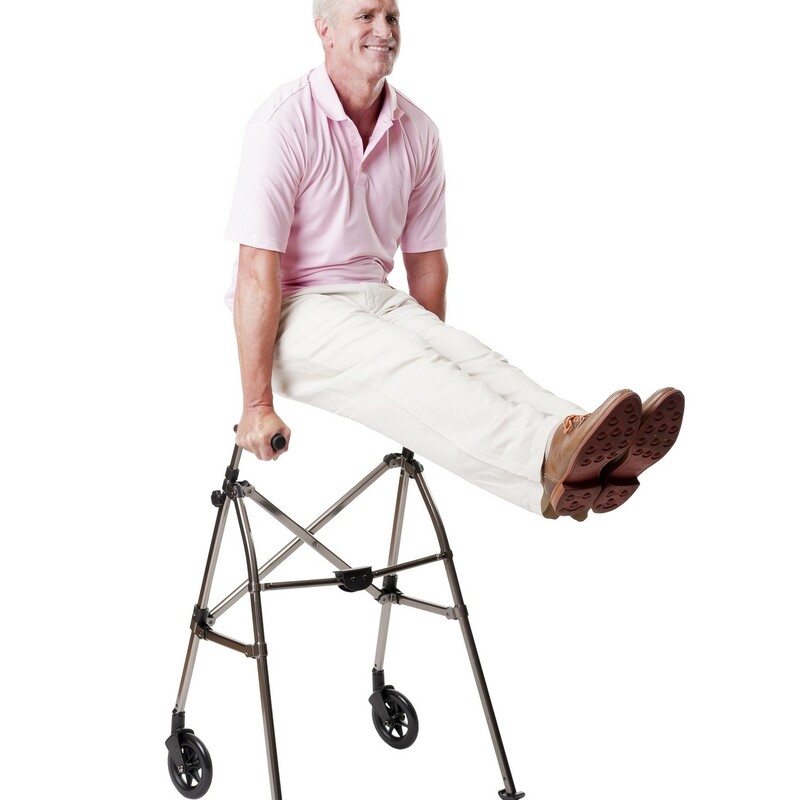 The innovative height adjustment feature accommodates users from 4' 10" to 6' 8". The new swivel locking wheel gives the user the security of a fixed strait wheel or the maneuverability of a swivel wheel. 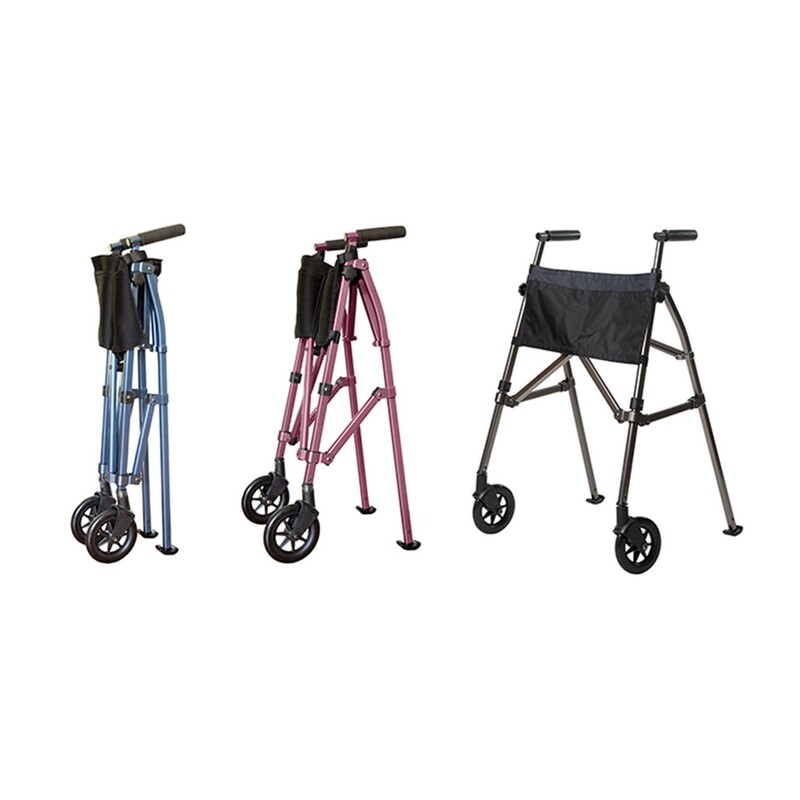 The EZ Fold-N-Go Walker comes in three stylish colors: Black Walnut, Cobalt Blue or Regal Rose. Weighs 8 lbs. Height adjustable - Fits users from 4'10" to 6'8"